The state’s education commissioner, MaryEllen Elia, says two committees, composed of parents and educators, have recommended changing 60 percent of the English Language Arts (ELA) standards and 55 percent of the math standards, reports the Associated Press. However, Yvonne Gasperino and Glen Dalgleish, co-founders of Stop Common Core in New York State, tell Breitbart News the education department is simply drawing out the death of the highly unpopular Common Core. Commissioner Elia is desperately trying to pull a Dr. Sergio Canavero – transplanting a standard that is dead with a new head hoping the nerves will fuse together bringing life to the post-mortem “Common Core Learning Standards” that are despised. The New York State Education Department (NYSED) is not only placating children and parents – playing with their heartstrings touting these new changes as substantial change – but also deceiving New York taxpayers. The new changes are only words. Welcome to the new NYSED department: NYSED Wordsmith. Gasperino and Dalgleish say taxpayer funds were spent to “change” the standards for “better clarification” while still using the foundation of Common Core. To be sure, other revisions are more substantial. The new ELA standards, for example, have more emphasis on fiction. Some new math standards include far more detailed explanations for what students are expected to know. On both the ELA and math sides, some Common Core standards have been dropped entirely. The Common Core standards were developed by three private organizations in Washington D.C.: the National Governors Association (NGA), the Council for Chief State School Officers (CCSSO), and progressive education company Achieve, Inc. All three organizations were privately funded by the Bill and Melinda Gates Foundation, and none of these groups are accountable to parents, teachers, students, or taxpayers. There is no official information about who selected the individuals to write the Common Core standards. None of the writers of the math and English Language Arts standards have ever taught math, English, or reading at the K-12 level. While 45 states signed onto the Common Core, only three states have officially repealed the standards: Oklahoma, Indiana, and South Carolina. Indiana and South Carolina, however, simply “rebranded” the standards, or – save for a few tweaks – essentially gave the same standards a different name, a move vehemently opposed by grassroots groups of parents who have battled against business and industry groups – particularly the U.S. Chamber of Commerce – and status-quo state officials fearful of losing federal funding. Many states that adopted Common Core have not repealed the standards, but, instead, changed the name of the program to a more local flavor title that might appease some opponents. 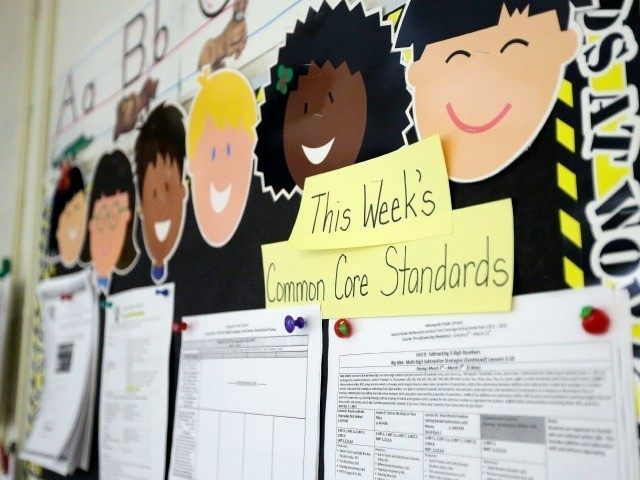 The annual Education Next poll, released in August, shows that public support for the Common Core State Standards has fallen to a record low. The poll surveyed 4,181 adults, aged 18 and older, including oversamples of 1,571 parents and 609 teachers during May and June. The poll also finds that, among teachers, support for the program has dropped from 87 percent in 2013 to 54 percent in 2014 to 44 percent in 2015, continuing at that level in 2016. New York State citizens can comment on the revised standards on the Education Department’s website until November 4, 2016.